"Ronaldo scored a lot of goals last season, won the Champions League - scoring a sensational goal against Juventus away from home - and proved his value at the World Cup scoring four times, including a hat-trick against Spain, so I believe that he deserved the award more than anyone else." It's always tough to give your opinion about this subject. Luka Modric had a great season in 2018, winning the Champions League and helping Croatia to be World Cup final, but if I had to choose, I would vote for Ronaldo. 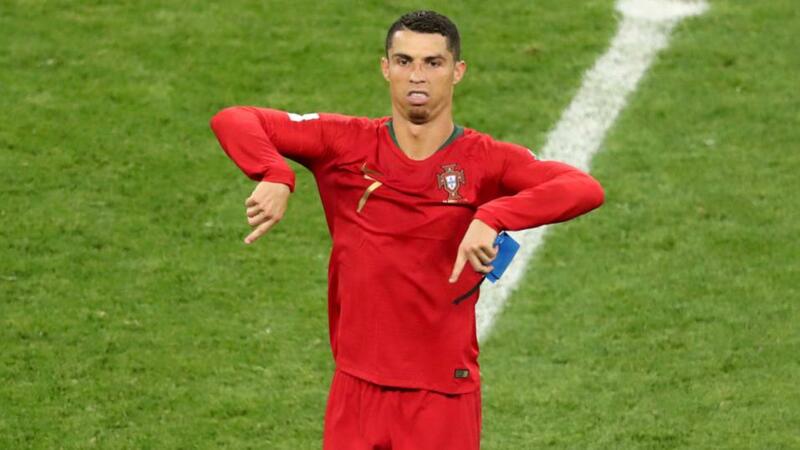 The Portuguese scored a lot of goals last season, won the Champions League - scoring a sensational goal against Juventus away from home - and proved his value at the World Cup scoring four times, including a hat-trick against Spain, so I believe that he deserved the award more than anyone else. And then, we also have Lionel Messi who should have been at least in the top three. Honestly, I can't see why things have changed this time - removing the focus from Cristiano and Messi - because both of them had good seasons. Some people are mentioning that Ronaldo's club change could have contributed to losing the award, but I don't agree with that as most of the decisive moments had already happened when he left Real Madrid to sign for Juventus, so there are no reasons to consider that a handicap. I think this change of focus could be an attempt to at least for a year write a different name in the history instead of still mutating from Ronaldo to Messi and Messi to Ronaldo. Anyway, I consider that unfair because they had solid campaigns and were decisive on their clubs, so there were no reasons to change that tendency. As you will probably know - at least when I won the award it was like that - the players receive the verdict some time before the event so I believe that Cristiano didn't take part in the ceremony because he was disappointed and probably feeling some injustice about the final decision that didn't corresponded to his expectations after such a successful season. The player might have preferred to not be present instead of being there upset and dejected, which would not be good for his reputation in the eyes of the organisation and the fans. I can only have good memories of Josep Lluis Nuñez - who sadly died this week - as he was the president that took action and signed me at La Coruña paying my release clause. He was then responsible for letting me have the pleasure and privilege of playing for a big club as Barcelona. Furthermore, in his times as Barca president he done a good job signing excellent players and I think he will live long in the memory of all players, staff and fans, me included. Espanyol are on a bad run with three consecutive losses and now must face Barcelona, but this is also a chance for them to end this mini crisis with a good result against their city rivals. They won't have an easy task because Barcelona is playing well and not committing many mistakes. Espanyol will still have their chances, especially this season where La Liga has been difficult to preview with many lesser teams surprising the bigger clubs. We have seen constant changes at the top of La Liga, with Barcelona recapturing the first-place last week and now it's time to be aware and don't allow a new change of the leader this week. This is contributing for a very attractive championship with various clubs fighting for the top spots - which hasn't been the reality in the last few seasons - making me remember the times I played in Spain. In the six seasons I was there, I saw Valencia, La Coruña, Barcelona and Real Madrid all being crowned champions. I don't agree with a South-American competition being played in Europe as it's a nonsense. It is like playing a Champions League final in Brazil or Argentina. In my opinion, this is a big mistake and the solution should be found in their own country or continent, but with more protection. I think the security in Argentina is strong, they only need to be more organised and focused to avoid mistakes. They failed by letting River fans be so close to the Boca bus and that was fatal. If they had been more cautious about it then probably there would have been no problems. And this decision of playing in Europe is bad for Argentina security as many people will start thinking they have no conditions for organising these kinds of events. Boca and River play against each other every season at least twice, so they must face the problem and not run away to another continent. Of course, this match in Madrid should not lead to any disturbance as many of the fans will not come to the match as they need to take a plane to Europe, which is particularly expensive at this time of the year. For that reason, we should have a mix of Boca and River fans, and European neutrals which won't have the same magic of a Copa Libertadores Final. The goalkeeper position is very tough because he must be focused all the time and constantly connected to the game. It's the only player on the pitch who cannot make mistakes, and things can quickly go from delight to hell when that happens. But picking one from Courtois, Ter Stegen and Oblak is too difficult as all of them are corresponding on the pitch and not committing any mistakes.